There has been a change to the date, time and room of our final session of the term. 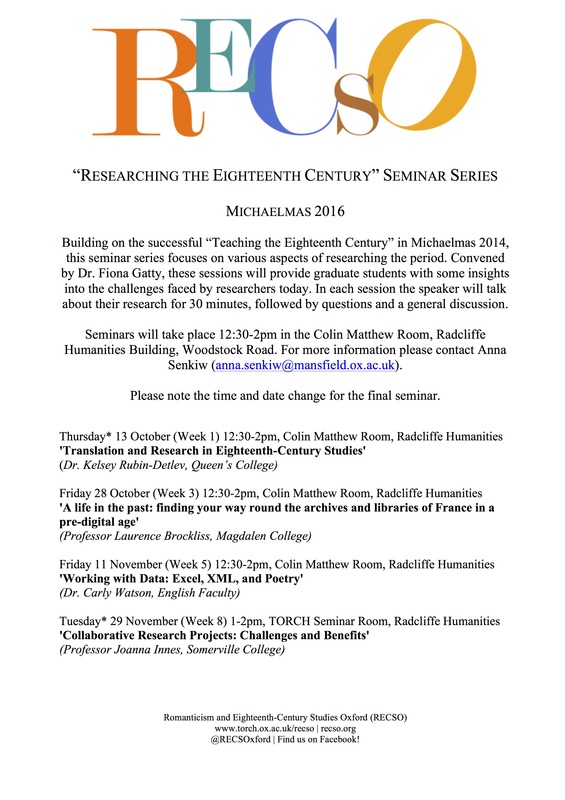 Professor Joanna Innes will now be speaking on Tuesday 29 November (Week 8), 1-2pm, TORCH Seminar Room. Please click on the revised poster below for more details. This entry was posted in RECSO, Seminars. Bookmark the permalink.